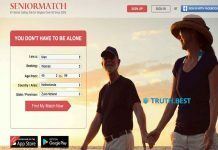 How much does Facebook Dating cost? Who uses Facebook dating app? After launching a dating feature in Colombia, Facebook is now rolling it out to Canada and Thailand adding several new features. Now it is possible to view the list of potential matches they said no to and pause their search if they no longer want to match. But whether this platform more focused on long-term relationships or hooking up? 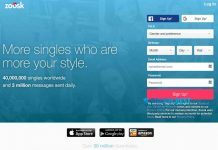 Or how Facebook will compete with other dating apps? Here is everything you need to know about Facebook Dating. 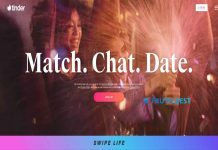 In May 2018, on the Facebook F8 developer conference, they announced about launching a new feature aimed at dating and meaningful relationships. Anyone who is 18 years old can use Facebook Dating. There is no need to download a separate app to use it. Currently, this feature is restricted to Columbia, Canada, and Thailand, but soon it will be rolled out to the whole world. Facebook Dating is not standalone software. It works within the Facebook app (currently this feature is not available through the Facebook site). But you don’t need to worry that your Facebook friends will see the information on your dating profile. Everything you do on Facebook Dating will not be shown in your primary account. Furthermore, any message you send or receive will be kept in a separate folder, away from the Facebook Messenger. Also, you won’t see your Facebook friends or people you’ve blocked as potential matches. Facebook Dating is absolutely free to use unless you use some third-party in-site applications. Everybody who is above the age of 18 can use Facebook Dating feature. Facebook Dating seems to be an excellent tool for those who want to find their beloved one. But unfortunately, now Facebook Dating is limited to Colombia, Canada, and Thailand. Only when the app will be spread all over the world, we can tell how efficient it is. Previous articleBuilt-in Parental Controls from Apple: Are They Good Enough? 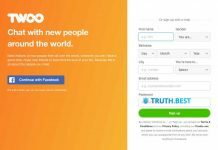 Twoo Review: Is It Really The Fun Way Meet New People? © 2019 Truth.Best, Inc. All rights reserved.